"During my third trimester, I probably saw my Chinese delivery guy more than my OB/GYN." Does this confession sound familiar? If there's a ever a time to cut yourself some cook-from-scratch slack, it's now—as long as you make healthy choices. These simple swaps satisfy quickly, without sabotaging your diet. Set on an appetizer? Skip the spare ribs, egg rolls, and sesame noodles and go for soups or steamed dumplings, instead. 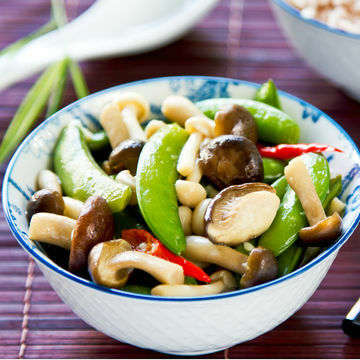 As for the entree, many menus offer steamed options that are loaded with healthy veggies and lean protein. If not, ask if they'll make you a steamed vegetable platter to mix with your favorite dish (and go light on the sauce). Avoid dishes with fried chicken chunks like General Tso's chicken, or heavy noodle-based lo meins. Final note: Go for brown rice over white for a whole grain fiber boost. 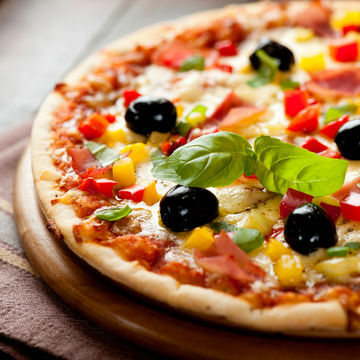 Your best bet: Thin crust over heavier deep-dish pizza, and keep an eye on toppings: Load up on peppers, onions, mushrooms, broccoli, and spinach and skip heavier nitrate-laden pepperoni and sausage. 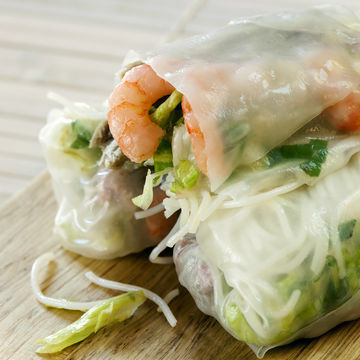 Start with a green papaya salad (offering lots of fiber and vitamins A and C), plus chicken satay skewers for healthy protein and some veggie-filled summer rolls wrapped in rice paper (instead of fried spring rolls). When ordering your entree, skip the heavy coconut curries and Pad Thai and go with fish and veggie-based stir fries. As with all menus, avoid anything described as "crispy" (translation: deep-fried). 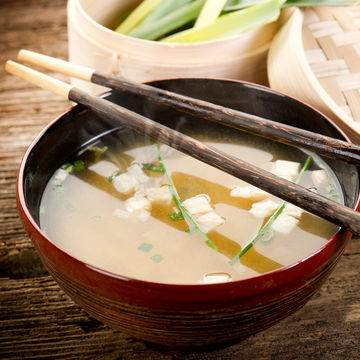 Raw fish is obviously a no-no while you're expecting; but if you're ready to enjoy sushi again now that baby's here, start with edamame and miso soup for a protein punch. When ordering rolls avoid anything tempura or crunchy (read: fried), spicy or crazy (read: mayo) and stick with veggie, avocado, and fish combos. Related: Should You Eat Fish During Pregnancy? 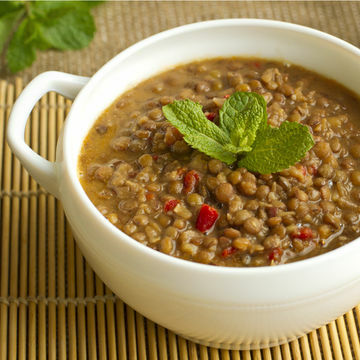 Starters can be tricky; skip the fried samosas and filled naan, and opt for fiber-rich lentil soup instead. As for the main course? Avoid cream-based curries and go for lean tandoori chicken, grilled chicken tikka, or spicy vegetable-based stews. 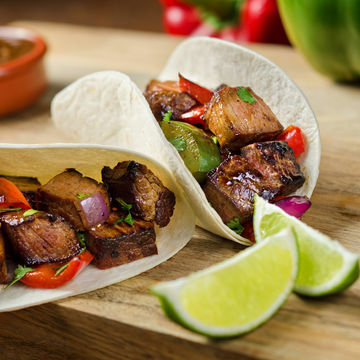 You can't beat fajitas. They're full of vitamin C-rich peppers and lean grilled meats. Plus, they're not fried. Garnish with healthy-fat guacamole and spicy salsa, and go easy on the sour cream and cheese to keep fat and cholesterol in check. If you've got a burrito on the brain ask them to go light on the rice and cheese, heavier on the beans and veggies. Many places also let you skip the tortilla altogether, and get your dish as a "bowl" on top of shredded lettuce. 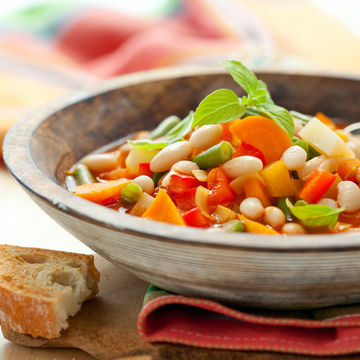 Start out with a filling vegetable-based soup such as minestrone. When it comes time for your entree, skip cheese-filled pastas, like ravioli and lasagna. The same goes for fried, cheese-topped dishes like chicken parmigiana. Try non-fried dishes with lean protein, like chicken marsala, shrimp in white wine sauce, or a non-cream-based fish dish. If your meal comes with a side of pasta, you can ask to sub veggies instead, or divide the pasta up for another meal. Stick with child sized portions and skip the fries. 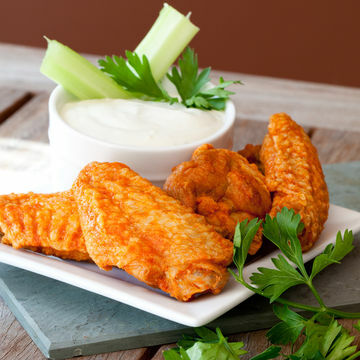 Craving wings? Go for it, but ask for extra carrots and celery to fill up on first. Oh, and go easy on the blue cheese.